I was reviewing my photos the other day and happened upon this beautiful photo of Ellie Goulding that I took at Lollapalooza. Even though I snapped this photo back in August she looks like she's ready for Fall. 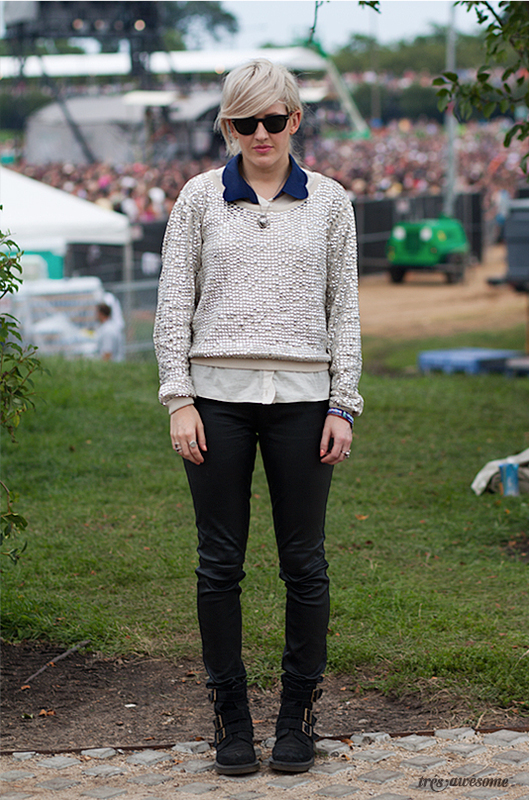 I'm a HUGE fan of this outfit in particular and Ellie's personal style in general. Her clothes are quietly expressive and artful in a way that feels authentic. She's wearing a Peter Jensen sweater, Burberry trousers and Doc Martens.